An essential part of modern kitchens, microwaves are convenient, easy to use, and save you time. This guide outlines the key features you should consider when looking to compare and buy either a convection or conventional microwave oven. What Are The Types Of Microwave Ovens? Converts electricity into microwaves (a type of radio-wave) that heat the food. Fast and efficient because only the food is heated. Generally, the cheapest microwave available. Works like a conventional microwave oven, but includes a heating element and fan to heat and circulate the air around the food. Ability to brown, crisp, bake, and broil like a traditional oven and also steam in some models. 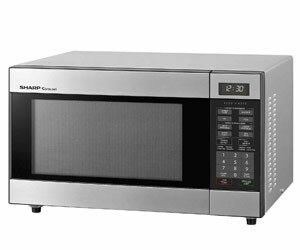 Convection microwaves are convenient for busy kitchens, such as small restaurants or large households. 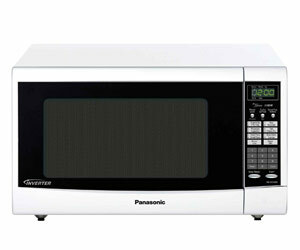 The power of a microwave is measured in Wattage, usually between 800W and 1500W. However, don't purchase a microwave on this alone. 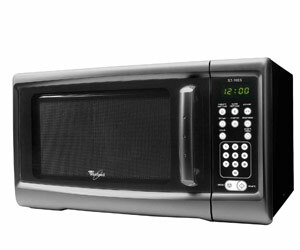 If you're cooking foods like roasts for a large family, consider a more powerful microwave. If you're only cooking for one or two people, then a less powerful microwave should suffice. The larger a microwave is the more watts it will need to heat food. The higher the wattage the faster a microwave can cook food. What Settings Should I Look For? The most basic microwaves have the ability to heat and defrost food. However, many models now offer the capability to bake, roast, grill and toast. Investigate the settings each microwave offers, and consider which ones will be useful to the food you cook. Many microwaves use one-touch, pre-programmed settings as an easy way of defrosting, cooking or reheating certain foods without having to estimate time and power settings. Presets automatically change the power levels during cooking, ensuring the best cooking time and process. Microwaves with sensors automatically adjust the heat as necessary to cook evenly, and turn themselves off when the food is ready. This avoids interrupting the cooking or reheating process to check on the food's progress. How much available space is there in your kitchen for a microwave? How much food will you need to cook at once? What Do I Need To Know About Installation? Consider your kitchen's storage space and how you will access the microwave. Microwaves can be placed on the benchtop, mounted on a wall, or built into a cabinet where they can be combined with an exhaust fan. Microwave ovens require ventilation and the amount varies between models; a minimum of 5cm is recommended. How Do I Maintain My Microwave? Top models also feature self-cleaning liners, so there's never any build-up of food or grease. Should I Only Use Microwave-Safe Containers? Yes, use only microwave-safe containers or tableware. The microwaves generated are not absorbed by most plastics, glass or ceramics but they are reflected by metal, so never put pans or utensils in a microwave. If in doubt, consult the manufacturer's directions. Conventional vs. convection: Conventional converts electricity into radio-waves that heat food. Convection includes a heating element and fan to circulate air. Settings: Many microwaves offer the versatility to bake, roast and grill. Size: Variety of sizes, from 20-litre to 44-litres.